3. This is a brilliant palette for a bedroom set in a city dwelling. 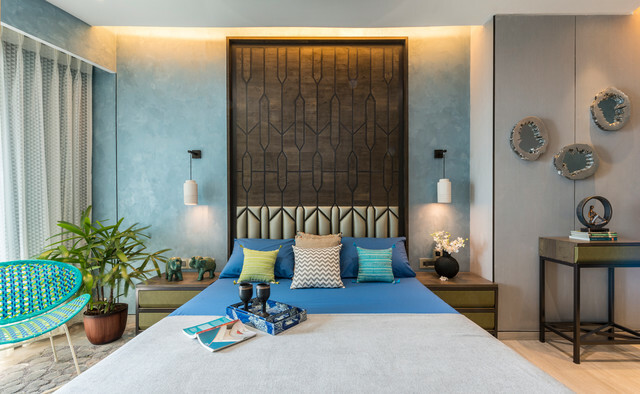 The sky blue wall paint softens the impact of the hard lines and surfaces, and the bit of aqua on the chair brightens up the space. The room is colourful but still has a calming vibe.